This investigative performance follows Ayşe Deniz Karacagil, a young Turkish woman arrested during the Gezi protests of 2013 and sentenced to a maximum of 98 years in prison for wearing a red scarf. Karacagil subsequently escaped across the Turkish border to join the Kurdish resistance movement. Maps for a War Tourist layers original research—from conversations with her mother to maps drawn by her lawyer—to question the nature of truth and the allure of the real while tracing connections between recent events in Turkey and the U.S., between non-violent protest and armed revolution, and between a revolutionary and those bearing witness to her story. Sister Sylvester (Kathryn Hamilton and Jeremy M. Barker) is a New York–and Istanbul-based company using documentary techniques in parallel with fiction to explore relationships of power. Inviting disruption into both their process and performances, the company looks for dissonance and difficulty in text, image, and sound. 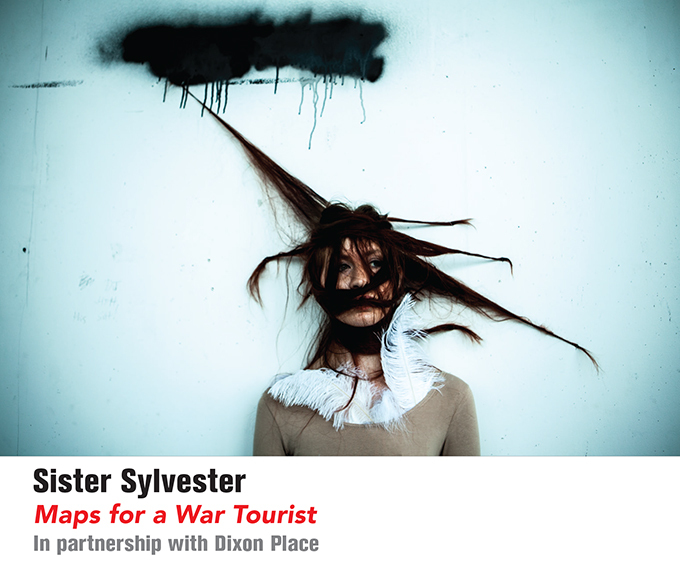 Maps for a War Tourist will run at Dixon Place, June 2 - 17, 2017.